My goal is to color the map of the world! 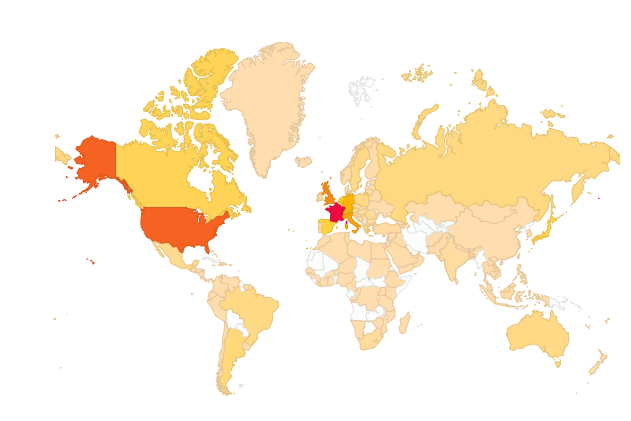 I am very happy to report that Monaco Reporter is being visited by people all over our planet! My objective is to completely color the map of the world. Only a few countries remain blank so I hope to achieve the goal very soon! Great coverage of events in Monaco and surrounding areas! Thank you!